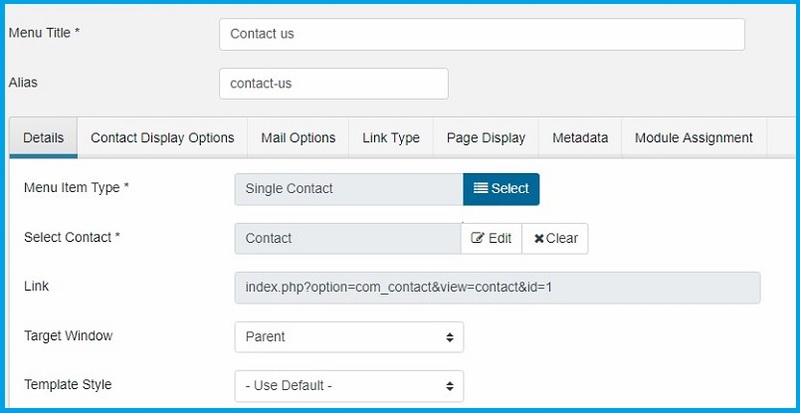 First you need to create a Joomla contact item to show it on your contact page. Create Contacts item : Go to Components > Contacts > Contacts > Click on New button. Add the contact details: Name, Image, Email, Address, Telephone etc. These details optional, it will appear with a contact form. If the fields are empty the additional information will not be shown with the contact form. Miscellaneous Information: This option is an option and depends whether you would like to show a message on the contact form or not. 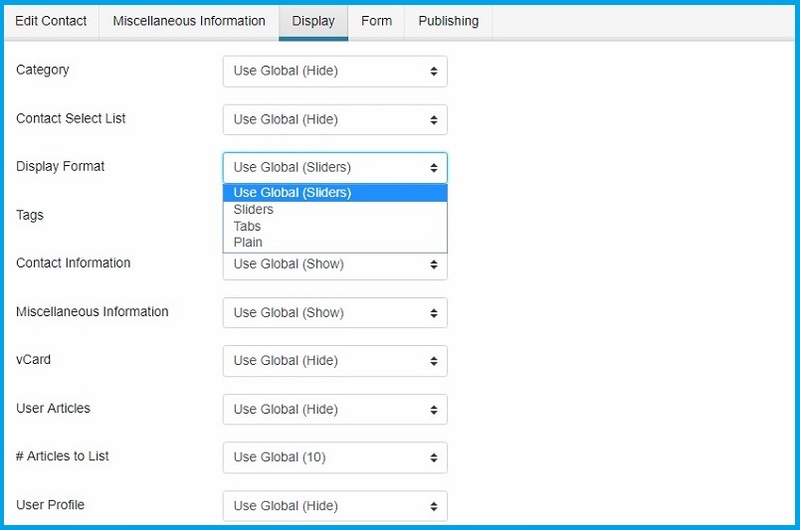 Display Tab: Display option give you to control for the category, display formats, contact information etc. Save Contact: After configuring all fields, Save the contact item. 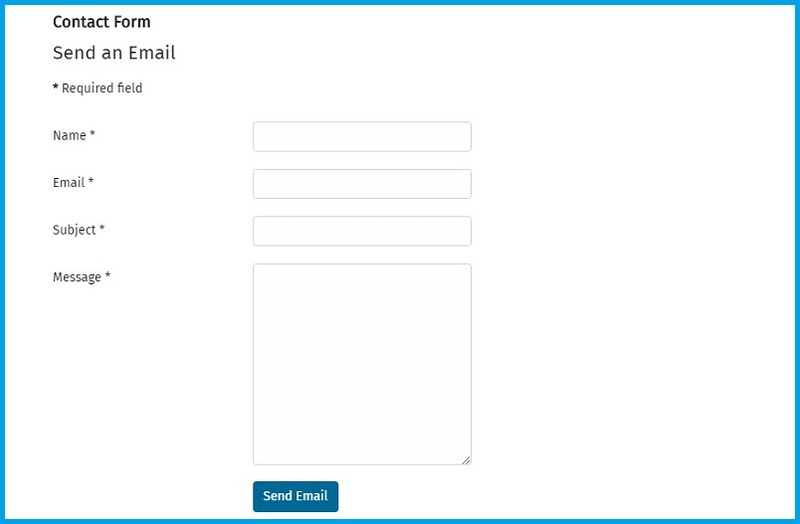 In the next step, you need to create a menu item to display the contact form and other contact information. Create Menu: Create a new menu item with type Contact > Single contact and save. 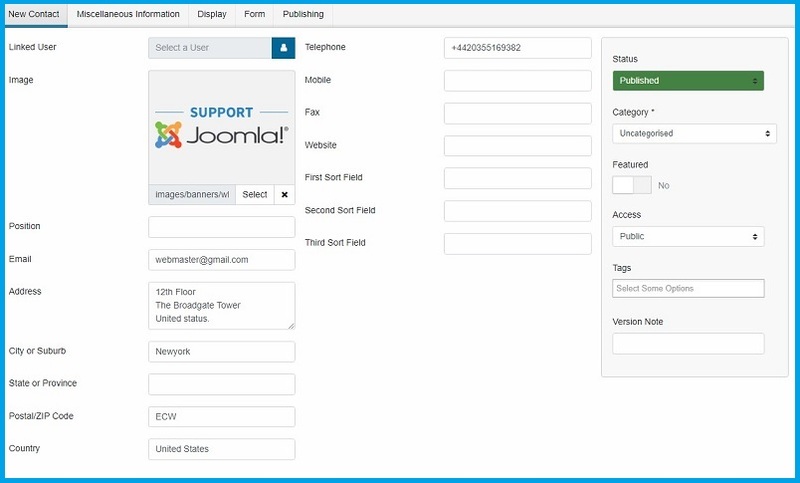 Open the contact us page from frontend to see Joomla 4 contact form. To add custom fields open components > contacts > Field Groups. Create new field like we created: Email extra fields for Mail and save it. Select Field group and category from right option on which you want to save this field. 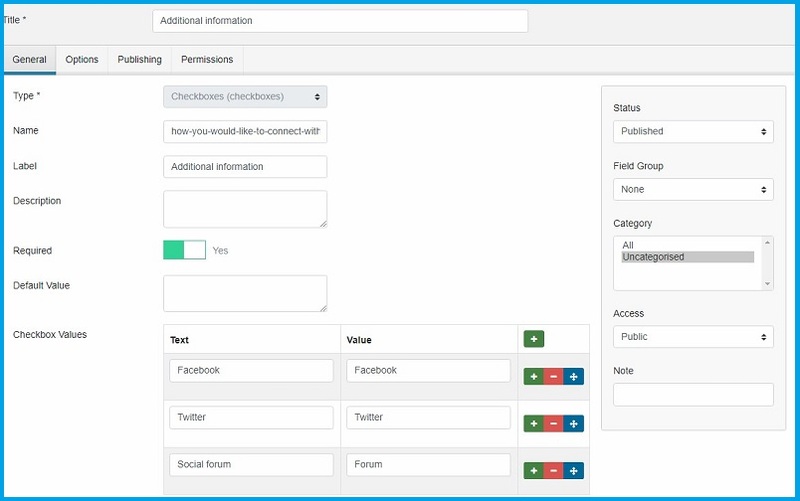 Permission tab allows the public user group to edit custom field value so public user of site can select the checkbox values. 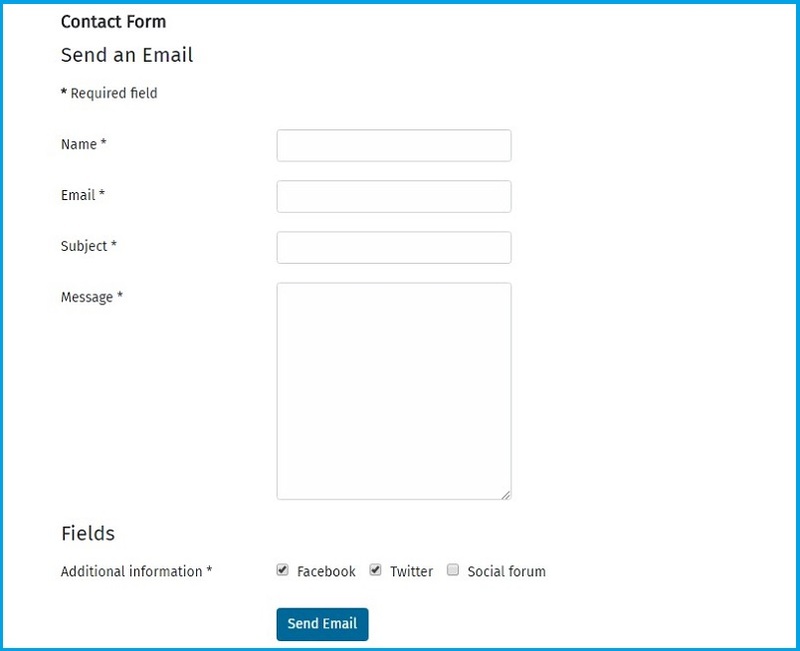 Reload the contact page to see the custom fields, The information will be used for contact form emails. 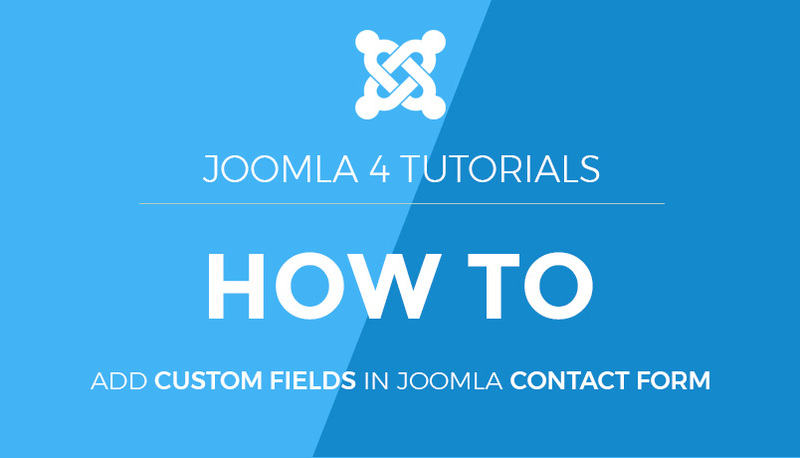 By using these custom fields you can add multiple new fields on Joomla contact form, To know the 15 types of fields used in Joomla, kindly check this blog post.